Extention of transformer service life time: how to? - ! Equipment for Transformer Oil Reclamation. GlobeCore. Extention of transformer service life time: how to? GlobeCore / Case Studies Of Oil Reclamation / Extention of transformer service life time: how to? 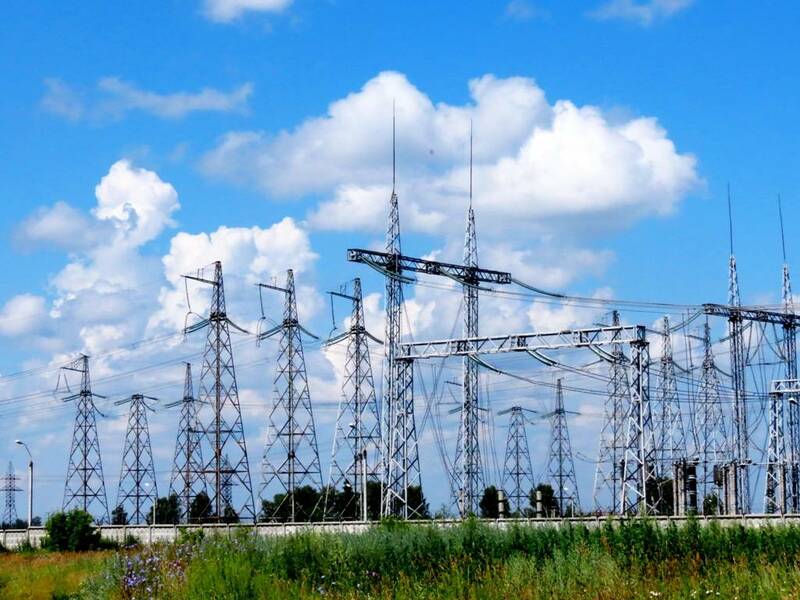 Power transformers are the most widely used elements of power plant and power distribution systems. Operation of transformers is an important factor in reliability of power transformation, distribution and transmission. Most transformer currently in operation are either nearing their projected service life, or have already exceeded it. Full scale replacement of all such equipment is not feasible due to the obviously prohibitive costs. This makes the issue of transformer service life extension quite important. Is there a solution? The answer is yes. During operation, the transformer undergoes both irreversible and reversible changes. The former include thermal oxidation of winding insulation, various internal damage, which requires disassembly of the equipment to repair and replace the failed components. However, many performance characteristics can be restored entirely on site. Petroleum based transformer oil is widely used as dielectric an heat dissipation agent in many electrical systems. Analysis of transformer failure and damage shows that the service life of transformer is defined by the condition of the insulation. During operation the oil accumulates various contaminants and aging products. In the presence of oxygen and water the dielectric fluid oxidizes even in ideal conditions. This process causes the formation of acids, which react with carbon and metal, forming aldehydes, alcohols, soaps etc. Contaminated oil thickens and increases viscosity. This degrades the heat dissipation capability, reducing the transformer life time. The optimal solution is oil reclamation. The reclamation process removes contaminants and decomposition (aging) products from the oil, restoring the essential operational parameters. GlobeCore has developed and put into production the CMM-12R units, specifically for extension of transformer life time by restoring the dielectric strength and chemical composition of the electrical insulation oil. The CMM-12R units regenerate and restore transformer oil by percolation of the oil through Fuller’s earth sorbent: it’s fuller’s earth filtration. Beside, this system can heat, degas, dry and filter the dielectric fluid. Sorbent reactivation occurs alonig with processing of the oil – inside the unit. After reactivation the Fuller’s earth can be used normally. The СММ-12R is connected directly to the transformer tank, forming a closed oil circulation line: the oil to be regenerated flows into the unit, processed oil flows back into the transformer. The flow of oil, along with vibration and heat in the transformer, also facilitates removal of contaminants from cellulose insulation. 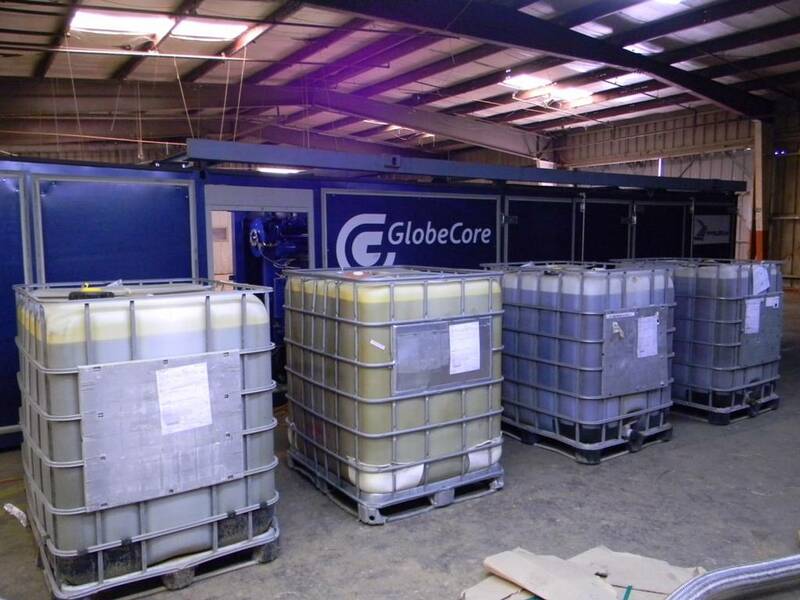 After GlobeCore’ oil reclamation process, the oil is chemically identical to new dielectric fluid. Additives improve the oil’s oxidation stability, further extending its service life. optional equipment to control oil level in the transformer, a generator for autonomous operation, inhibitor injection section to add oxidation stabilizer into the oil. qualified consulting by GlobeCore experts during operation of the oil reclamation unit. GlobeCore equipment can be in stock or custom design. Stock models can be purchased directly from the factory’s warehouse. Custom orders require 45 work days lead time.